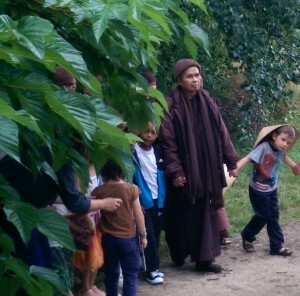 The Dharma Primary School continues to nurture established connections with the English Sangha Trust, Chithurst Monastery and with visiting monastics from the Tibetan tradition. (His Holiness the Dalai Lama is a patron of our school). Over the past few years we have also begun developing a relationship with Plum Village Monastery in France. 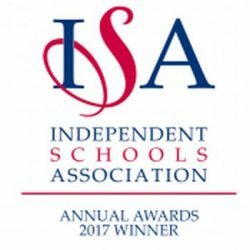 Please visit our history page for more information about the Buddhist teachers and traditions that inspired the inception of our school back in 1994, and read about visitors to the school in the archive section of our school blog. Plum Village in France is a Buddhist monastery for monks and nuns and a Buddhist practice centre for lay people. Plum Village was founded by Thich Nhat Hanh, 87, one of the world’s best known and most respected Zen masters. Thich Nhat Hanh’s approach has been to combine a variety of traditional Zen teachings with insights from other Mahayana Buddhist traditions, methods from Theravada Buddhism, and ideas from Western psychology – to offer an integrated approach to mindfulness practice. Plum Village also runs the Wake Up Schools initiative, regular family camps and international retreats focusing on Mindfulness in Education. The Dharma Primary School began forging links with Plum Village several years ago. Since then staff and families from the school community have taken part in retreats at the centre in France and we are now privileged to be visited on a regular basis by monastic brothers and sisters from the monastery. Our monastic friends bring with them a wealth of loving kindness, wisdom and compassion and continue to help us embed Buddhist principles and mindfulness practice at the heart of our school. We are also working collaboratively with Thich Nhat Hanh’s highly respected international initiative, Wake Up Schools, and (along with teachers from other organisations) are assisting in trialling material for a “mindful curriculum programme” – an educators’ handbook by Thich Nhat Hanh with Katherine Weare and the Monastics of Plum Village. Katherine Weare is Emeritus Professor of both Exeter and Southampton Universities in the field of education, and a leading light in the field of Mindfulness in Education. She has spent time with us whilst the monastics have been visiting and has been involved with the Mindfulness in Schools Project. She has also written many papers on the benefits of mindfulness for children and teachers. In March 2015, eight monastics from Plum Village paid us a 10 day visit, which was a wonderful opportunity for mindfulness practice, community sharing, fun and fresh air! Read all about their visit in our school blog. For updates about our developing relationship with Plum Village and Wake Up Schools, please continue to check this page and our Twitter and Facebook accounts.